Unique bohemian flower crowns. Handcrafted with pink porcelain roses and green leaves, wrapped with pink suede and brown wax cord on a natural dried preserved branch. The crowns are attached together by a long white satin ribbon. 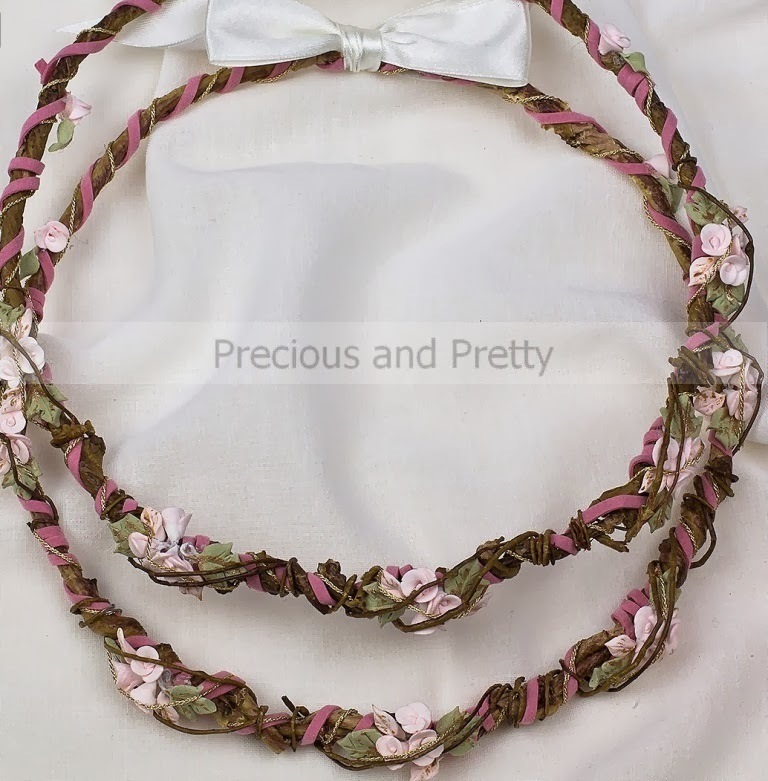 https://www.preciousandpretty.com/2019/01/bohemian-flower-crowns-n611.html Greek Wedding Favors|Orthodox Crowns|Stefana|Baptism Invitations Bohemian Flower Crowns N611 Bohemian flower crowns, handcrafted with pink porcelain roses and green leaves. Product #: Greek Wedding Favors|Orthodox Crowns|Stefana|Baptism Invitations_8948070214985444209 5 stars out of 5 reviews.